The MPL challenged the ANC to give access to real-time crime statistics to enable understanding of the crime problem and thus to ensure proper planning to fight the scourge. The government must reduce the budget it allocated to the VIP protection and take the bulk of it to increase the expenditure for the safety of each South African affected by crime. This was the view of DA shadow MEC for community safety Kate Lorimer who expressed concern about the increase in crimes such as sexual assault, murder, taxi murders, and murders of police officials in Gauteng. Lorimer further said the police budget must be devolved down to the police station level in order to address specific local conditions that affected police in dealing with crime. The MPL challenged the ANC as the governing party to give access to real-time crime statistics to enable understanding of the crime problem and thus to ensure proper planning to fight the scourge. “Increase the budget spent on the safety of each South African from R1,500 by reducing the amount spent on protecting VIPs,” Lorimer said. She cited the R9.1 million that the state spent per annum to protect VIP or senior government officials. The DA MPL said the government must employ, properly train, and resource more police “who are truly committed and see policing as a calling rather than a cash cow”. “Devolve budgeting down to station level to ensure specific local conditions are catered for,” Lorimer said. Lorimer, who was reacting to the police crime statistics released on Tuesday, said the crime situation in Gauteng was a matter of grave concern. She was alarmed by the statistics that showed that Gauteng’s sexual assaults had risen by 18.3% in sexual assaults and murders were up to 4,233 over the year translating to roughly 12 per day. She said the crime statistics in Gauteng, including the fact that the province had the highest number of taxi murders at 110 and experienced the murder of 28 police officials, “did not paint a rosy picture”. The politician was shocked by the statistics that showed that Gauteng police stations featured prominently in the top 30 stations for crimes such as murder (9 stations), assault GBH (17 stations), carjacking (21 stations), and residential robbery (15 stations). According to the report among the most problematic stations in Gauteng were Jeppe, JHB Central, Ivory Park in Tembisa, Orange Farms south of Johannesburg, Honeydew in the north west of Johannesburg, and Temba police station north of Pretoria. The province had 246 cases of mob justice, an ugly and unacceptable indicator that communities are frustrated with the crime situation and the seeming lack of action by the police. Lorimer called on the ANC government to act and put the people first. “The ANC’s failure to create an integrated criminal justice system that investigates crime, captures perpetrators, gets them to court, and convicts and sentences criminals consistently is reason enough to choose the DA as an alternative in 2019,” she said. 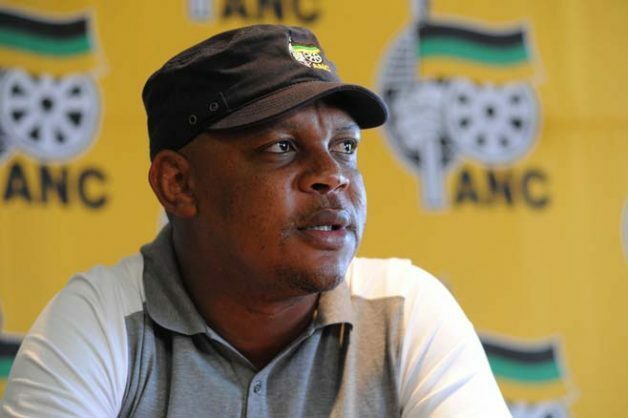 However, the party spokesperson Pule Mabe said the broad categories of criminal trends over the last ten years had been reducing, accounting for a 4.4% decrease in general crime. The ANC lambasted the spike in gender-based violence saying: “this should have all of us hanging our heads in shame”. “What makes this category of crime despicable is that its victims are women who remain vulnerable members of our society. We all have a duty to protect our young girls and women at all costs, yet we repeatedly fail them,” said Mabe. The ANC said the gender-based violence was an indictment on our nation and society must rise in unison and declare that “enough is enough”. The war against crime was not the exclusive responsibility of the police, but of every single member of society. “Those who commit crimes are members of our communities. They are our neighbours, our friends, our siblings, our spouses, yet we choose to be complicit in their crimes by being silent,” Mabe concluded.